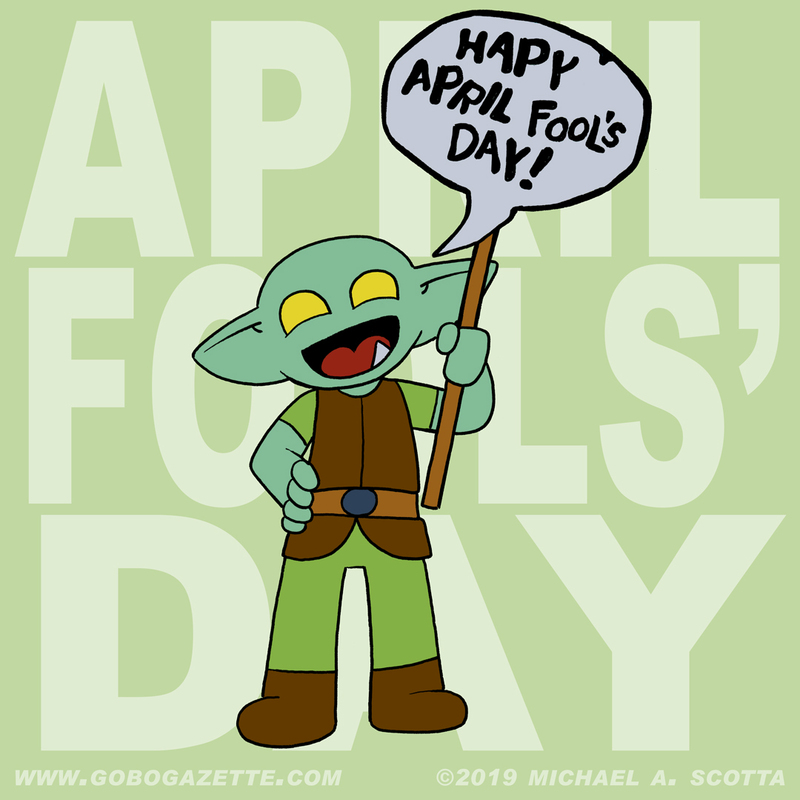 Bam wants to wish you all a Happy April Fools’ Day… in English! It was going to happen eventually, right? With all the word bubbles now having actual words in them? It was only a matter of time before one of the gobos slipped and spoke clearly. Clearly the Gobo Gazette Instagram feed is the behind-the-scenes of the comic strip. The gobos are quite industrious and have been the heart and soul of ever step of production. especially the many props. I was going to hold off for a bit longer for the twist but I figured it was better now than later to move forward on a very Office mockumentary of goblins working at the local printed newspaper while moonlighting at a theater.